Montreal Before Spring. Robert Melancon. Translated from the French by Donald McGrath. Biblioasis. Windsor, Ontario. 2015. Robert Melancon translated Earle Birney into French, that puts him in damned good stead here at Today's book of poetry. Earle Birney is one of the cornerstones of our belief in poetry. If Robert Melancon likes Birney then let's open this book. And there it is. We're not suggesting that there is much similarity in voice or style - but Melancon, like Birney, knows everything under the sun and is a gentleman about sharing it. Montreal Before Spring is an occasional weather report, both literally and figuratively. Melancon is taking and talking the temperature of Montreal at the same time as he is celebrating the city. And the citizens. so little else to do. Melancon sees the big and the small and treats them with equal respect and curiosity. There is a lovely, long letter/poem to the Canadian poet George Johnston that is filled with admiration for Johnston's writing, both his poetry and his handwriting. That's no joke, a handwritten note from Johnston looks like it was laboured down onto velum by some very devout monks. I like this. I like this celebration of friendship and craft. Melancon does it again with a laudatory epistle to/about Jean-Aubert Loranger (one of Canada's first modernist poets). These meditations on friendship give us a good look into the poetic heart of a soulful man. like this night I've pulled you from, now go." Today's book of poetry hear's A.M. Klien, Raymond Souster, Louis Dudek, St. Leonard of Cohen, Irving-King of Layton in these poems along with a host of other giants. Today's book of poetry is embarrassed to admit our knowledge of French language poetry from Quebec is sadly uninformed. 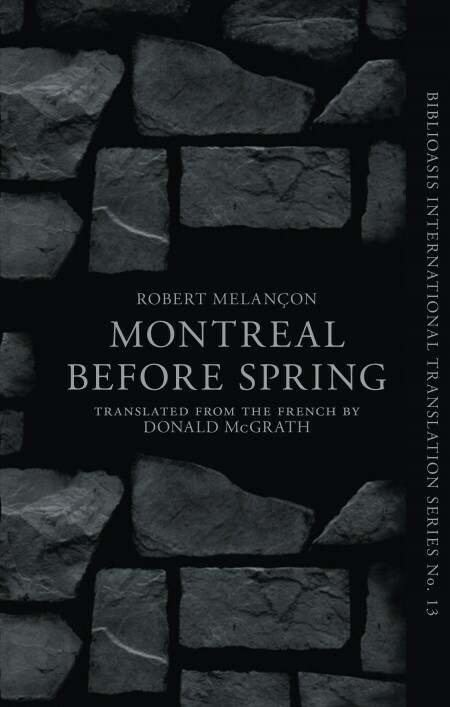 Melancon's Montreal Before Spring is a welcome introduction (for this reader) to another fine Canadian writer. Robert Melancon's poetry has moments full of playful vigour, there is never any pious posturing but there are deeply meditative philosophical questions along the way, baked into the cake, under that sweet icing. He deals with big issues before you know he's on to them and while you contemplate that Melancon reflects on the angle of the sun setting over Montreal rooftops. This sky, grey as your eyes. to believe that you are here. an alcove where I go to meet you. Montreal Before Spring is an annual, a year-round love story/poem to the coolest city in North America. Robert Melancon loves the city and the people and the snow and the sun. Montreal Before Spring has everything except good bagels, good smoked meat. There is a great tenderness in these poems. TBOP loves that. Donald McGrath's translation is invisible, seamless. Donald McGrath grew up in a fishing village on the Avalon Peninsula of Newfoundland and moved away from the island at the age of nineteen to study art at the Nova Scotia College of Art and Design. He has been a longshoreman, factory worker and waiter, and currently works as a translator in Montreal, where he has lived for the past twenty-five years. 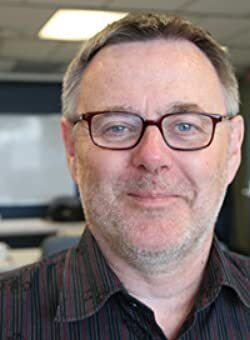 He has published in periodicals and reviews in Canada, Australia and the UK, and is the author of one previous poetry collection, At First Light (1995). "Melancon's work is rich and deceptively simple."